Planning and choosing the right destination when traveling is not an easy task, especially if you are traveling on holiday or vacation, and you want to ensure the best possible experience and, most of all, value for money. 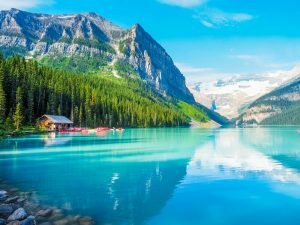 One of the most preferred holiday destinations among many people is the western part of Canada, which boasts some of the world’s best attractions and destinations, especially for those who love nature, outdoor activities and winter sports. This site will highlight some of the basics and also provide important information that you need to know before planning your trip. Read through all the sections to enjoy a guide to the best cities to visit, drive tours in western Canada, and major airports close to top destinations and attractions. With the western region of Canada hosting many great cities, this section will guide you to some of the best places to visit. Cities are hubs for many shopping malls, entertainment joints, eateries, betting casinos and sporting venues. You want to travel with ease to your destination and prior information on what to expect can really help. Read through this section for information related to airports in western Canada. We recommend that you make prior arrangements with your travel agent for detailed information on ticketing and flights. There is plenty of outdoor scenery to keep you hooked during your visit. We have highlighted some of the destinations that should be at the top of your list during your visit to western Canada. Some of them include the Butchart Gardens, The Summit of Mt. Norquay, Sulphur Hot Springs, and many more. Read on to find out what you can do in these destinations, and others that you need to visit. If you like taking control of your vacation and prefer drive tours, then we have got you covered, as we have several top drive tour destinations in the western part of Canada. Drive tours offer a great opportunity for visitors to enjoy an extended stay, with some trips extending for two weeks or more. Take your family or spouse for a drive tour as you bond enjoying the beautiful Rocky Mountains landscape. National parks offer excellent venues for outdoor activities. Western Canada has so many beautiful national parks that you need to visit when you travel to this great part of the country.